HUGE Savings for Pets at Wag.com on Natural Balance, KONG, Fresh Step and More! Wag.com carries an amazing selection of food, toys, treats and other pet supplies for dogs, cats, birds, reptiles, fish and other critters. You’ll also get Free 2-Day Shipping on orders of $49+ (or $39+ if you shop one or more sister site). 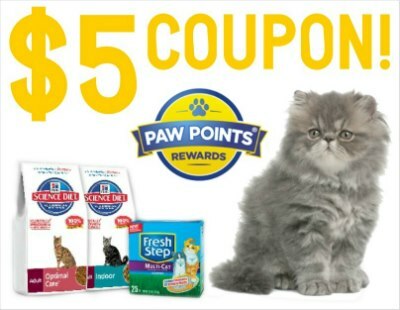 You also get 5% back on ALL pet food all the time! Visit Wag.com for these and more great deals for the fur kids. $10 OFF Pet Food or 15% OFF Any Order at Wag.com + Free Shipping! 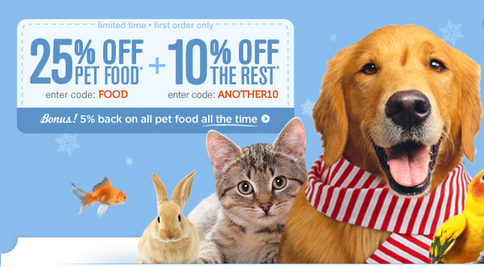 I just received this new deal for $10 OFF pet food when you spend $40+. Just make sure to use Wag.com Promo Code WAGFOOD at checkout! It’s valid on first time orders only. If you don’t need food, you can order other pet supplies including kitty litter, toys, treats and more and save 15% OFF your first order with Wag.com Promo Code WAG at checkout. Spend $49+ to get Free 2-Day Shipping or shop across 2 or more of their sister sites for free shipping on $39+. Sister sites include diapers.com, soap.com, casa.com and more! Visit wag.com to get started! 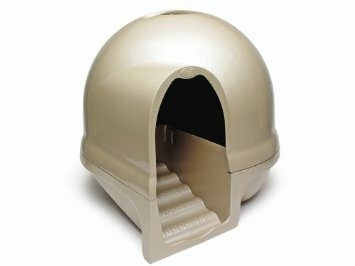 Booda Dome Cleanstep Cat Litter Box 40% OFF + Free Shipping! Get a Zen retreat for your divine feline! Save $20 on this Booda Dome Cleanstep Cat Box and get FREE SuperSaver or 2-Day Prime Shipping! Regular price for the Titanium color is $49.99 but Amazon has it on sale for $29.86 (40% Off) Other colors are also on sale, too. Visit Amazon here for Booda Dome Cat Litter Boxes and more pet supplies on sale! 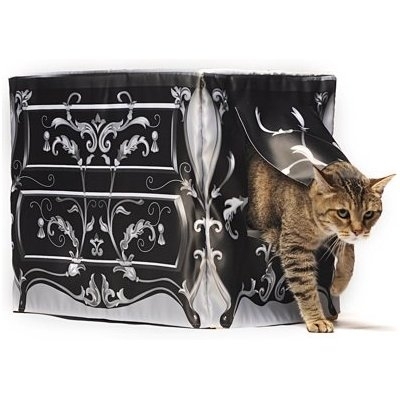 Kattysaks Fancy Litter Box Cover $15.99 + Free Shipping ($40 reg)! Dress up your kitty’s ugly old litter box and give her some privacy, too! This super fancy litter box cover fits over all hooded litter boxes (with center entrance / exit) up to 22″ wide and fits some jumbo and extra jumbo litter boxes. It’s machine washable and iron safe so it will be easy to care for. Regular price is $39.99 but get the Kattysaks Litter Box Cover on sale for only $15.99 including FREE Shipping! Read the product description here for more info on fit and care for the Kattysaks Cover!